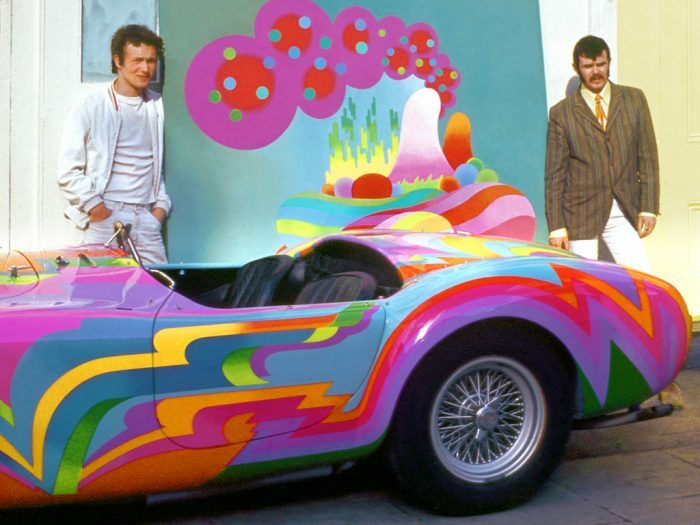 Following on from our Art on Wheels post which briefly looked at the pop-art customisation of cars in Sixties London, it seemed remiss of us not to dig further into the history of the artists involved. 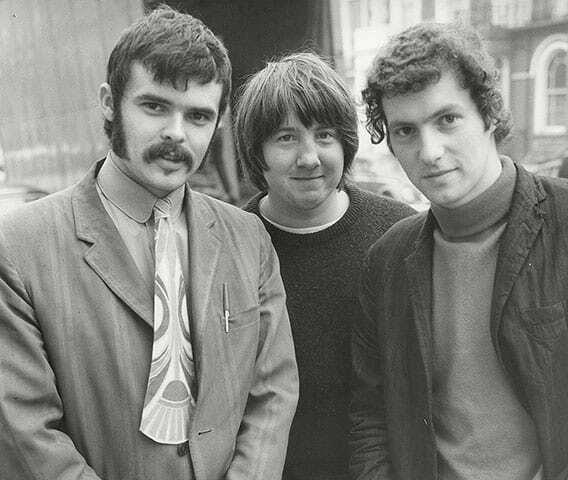 Particularly as they played a pivotal role in the formation of the nascent psychedelic movement, but also as their work and ideas seem to be woefully under-publicised considering who they were rubbing shoulders with at the time. 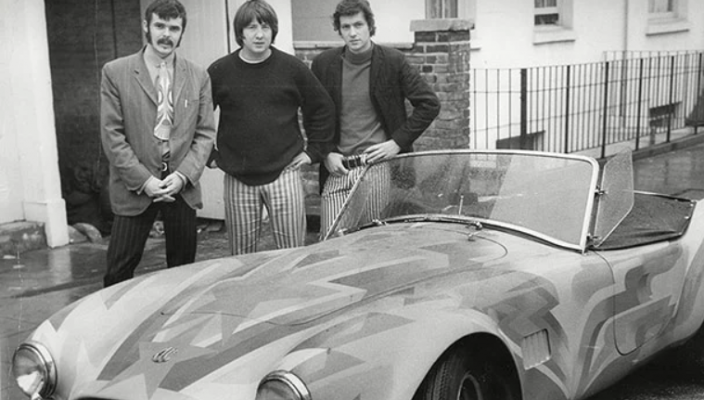 The BEV Design Collective had its roots firmly in Yorkshire but was based in London and for a brief period was very much a part of the whole Swinging Sixties movement especially as it moved inexorably away from the sharp-suited, Ivy League influenced mod look to the looser, hairier, more chilled-out flower-power and early hippy styles that started to take over much of the western world from 1967 onwards. Named after their collective surnames (Doug Binder, Dudley Edwards and David Vaughan) the BEV Design Collective all studied at Bradford Art College before heading to London after they’d graduated. (Coincidentally, David Hockney also studied at Bradford around the same time – who knew West Yorkshire was such a hotbed of artistic talent!) They set themselves up in an old factory in Chalk Farm and being the skint ex-students they were couldn’t afford to kit it out so painted the few bits of furniture they had just to brighten the place up. These got noticed by a local antiques dealer and shortly after that they became the first artists in the UK to produce painted furniture since the First World War. 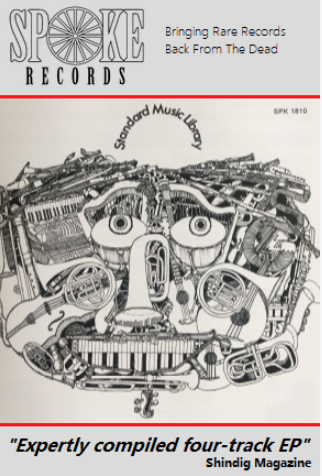 Whilst they worked as a collective they also did much of their work as solo artists and during their relatively short tenures in London mixed with many of the movers and shakers of the period. Doug Binder is seen by many as the father of pop-psychedelic painting and built a close relationship with The Beatles around the time they were writing and recording Sgt Pepper. 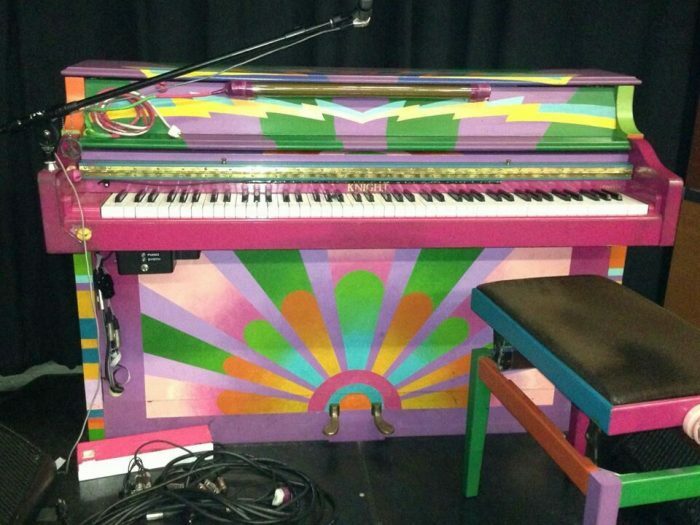 Paul McCartney commissioned Binder to paint his piano and he also did work for The Kinks, Philips records and even exported work to Macy’s department store in New York. However, as an artist and painter Binder was never comfortable with the glitzy London life and eventually he moved back to Yorkshire where, to this day, he continues to paint as curator at the Dean Clough galleries in Halifax. 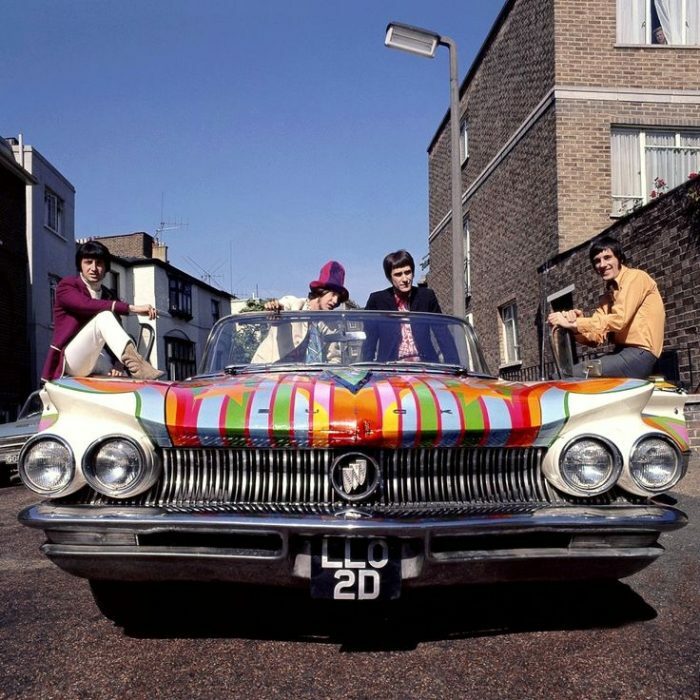 Dudley Edwards had the unique claim to fame of living with Paul McCartney for six months and then Ringo Starr for six months whilst completing murals in their respective houses. 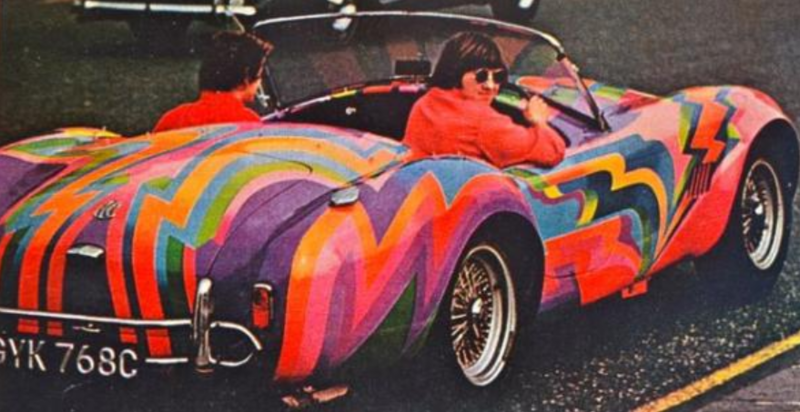 He also painted a car (the AC Cobra featured in the Art on Wheels video) for Irish socialite Tara Browne who died in a car accident in December 1966 and about whom, it is alleged, The Beatles’ song ‘A Day in the Life’ was written. 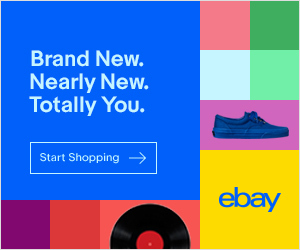 Edwards went on to create a number of album covers, taught at multiple art colleges and with his wife, set up a company called Amazed Ltd which has created wall hanging and rugs for, alongside other esteemed customers, the Big Brother house. David Vaughan was the ‘manager’ of the BEV collective but also had a successful artistic career of his own including commissions from Pan Am and Princess Margaret. 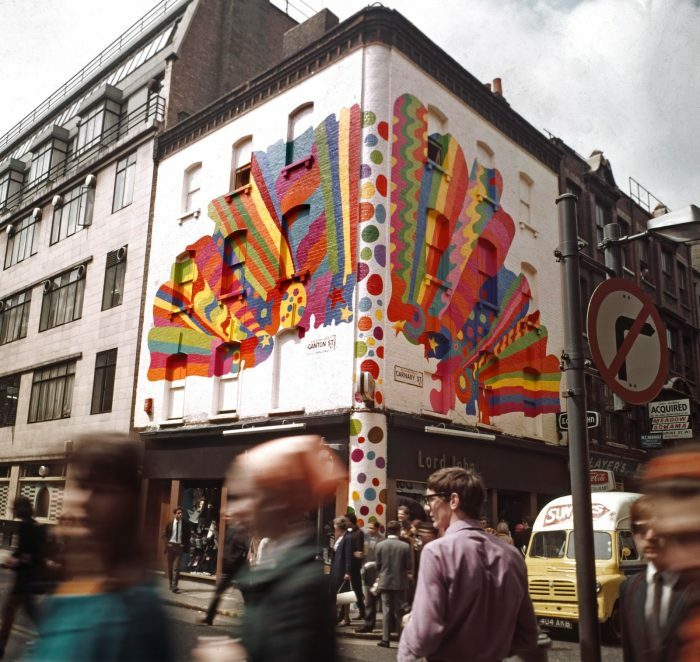 Unfortunately, he had a nasty accident while painting a mural on the Lord John shop in Carnaby Street and plunged three storeys to the ground. It seemed at the time he was relatively unhurt, so some friends gave him a tab of LSD to calm him down and he spent the next three years living as a down and out suffering severe manic depression, which dogged him for the rest of his life. He finally got back on track, married, moved back to his home town of Manchester where he became a noted mural artist and fathered the actress Sadie Frost. Sadly, he died in 2003 while awaiting a liver transplant. Dudley Edwards and Doug Binder.